Is Washington Ceding Syria to Russian Influence? 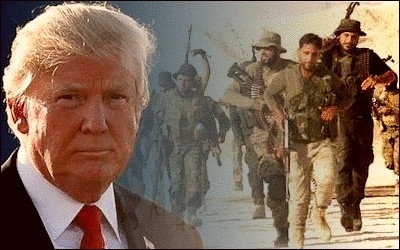 Early this month, US President Donald Trump ended what he called "massive, dangerous, and wasteful payments to Syrian rebels fighting Assad" by the CIA. US President Donald Trump this week appeared to confirm a number of recent media reports suggesting that the US has scrapped the long-standing covert CIA program to provide weapons and training to Syria's rebels. There was much subsequent merrymaking regarding Trump's supposed 'revelation' of the program via his preferred medium of Twitter. This commentary was not serious. The existence of the program, if not its details, has been an open 'secret' for a while. Nevertheless, the decision to scrap the CIA program, now confirmed by General Raymond A. Thomas, head of US Special Operations Command, is a significant development. So is the US exiting the Syrian stage, and ceding the area in its entirety as a zone of influence to Russia. What will this mean for Syria? Does it imply the eclipse in the entirety of anti-Assad forces and an overall victory for the dictator in the long civil war in Syria? Observation of the available facts suggests that it isn't that simple. The CIA program, dubbed 'Timber Sycamore,' was created in early 2013 and was intended to support 'moderate' units from among the Syrian Sunni rebels, at a time when Islamist and jihadi forces had already become entrenched and prevalent among them. The first groups of fighters armed by Timber Sycamore began to appear in southern Syria in September 2013. Operating out of military operations centers in Jordan and Turkey, the program involved the vetting and training of Syrian rebels by US personnel, and from 2014, the provision of sophisticated weaponry. The first reports, for example, of TOW anti-tank missiles in the hands of the rebels, appeared in April 2014. Media reports suggested the involvement of Saudi Arabia in the project, with Riyadh providing arms and money and the Americans responsible for training. The precise extent of weaponry provided, the list of groups supported, the type of training offered, and the affiliations of the US personnel involved in the training remain classified. However, the impact of the program can be estimated from the results on the ground. In northern Syria, US-supported groups never managed to dislodge the dominant Salafi-jihadi groups, supported by Qatar and Turkey, most importantly the Ahrar al-Sham group and the al-Qaida-affiliated Jabhat al-Nusra (subsequently renamed Hayat Tahrir al-Sham, after formally ending its al-Qaida allegiance). Instead, the US-supported groups became de facto partners with these organizations. CIA-backed rebels have helped prevent pro-regime forces from reconquering Deraa and Quneitra provinces. In southern Syria, where Salafi jihadi Islamism was weaker, the program has had a greater impact. With US personnel responsible for training, mainly through the Southern Front of the Free Syrian Army, the US-supported forces (also supported by Jordan and Israel) have succeeded in largely preventing the Assad regime and its allies from reconquering Deraa and Quneitra provinces. Parallel to the CIA program, the Pentagon has been running its own train-and-equip operation for the war against ISIS. This project, after some initial hiccups, has been notably successful and is slowly and relentlessly driving Islamic State back in its 'capital' city of Raqqa. The beginnings of success for the Pentagon program, however, coincide with the commencement of US cooperation not with the Sunni Arab rebels, but rather with the Kurdish YPG (People's Protection Units). This unlikely partnership, which began in October 2014, enabled the US to work with a ready-made coherent force on the ground, rather than to try to help establish and shape one. 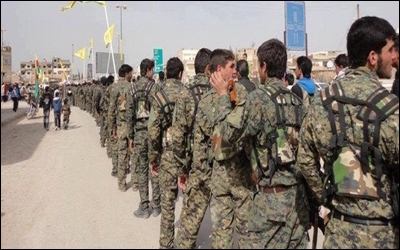 Subsequently, the Defense Department program has surrounded this Kurdish core with a variety of additional Arab forces, creating the multi-ethnic force which is now known as the Syrian Democratic Forces. This program has in addition offered training and support to rebel forces in southeast Syria wishing to fight Islamic State. At present, two Arab rebel militias, Maghawir al-Thawra and Shohada al-Quartayn, are receiving training and aid from the US and allied (reportedly British and Norwegian) forces in the desert of southeast Syria. The Pentagon's support for Kurdish YPG fighters has been critical to the defeat of ISIS in eastern Syria. This train-and-equip program is not being wrapped up. That is, the US is not pulling out of involvement in Syria in toto. Rather, a particular project is being terminated. So where is this likely to have an impact? For obvious reasons, in the area east of the Euphrates, where the Pentagon train-and-equip program is the relevant project, the termination of Timber Sycamore will have no impact at all. It will also have little noticeable effect on the remaining rebel enclaves in northwest Syria. There, the US-supported groups are largely irrelevant. The growing force in Idleb Province is Hayat Tahrir al-Sham, which just this week drove the rival Ahrar al-Sham from 31 villages and consolidated its control in Idleb City, the last major urban center in the hands of the rebellion. The area where the end of Timber Sycamore may have the largest impact is in southwest Syria, in the region adjoining the Golan Heights and the border with Jordan. Here the decision to end the program seems to follow from the cease-fire concluded on July 7, and the subsequent deployment of Russian 'military police' (i.e. re-designated Russian soldiers) to enforce the 'de-escalation.' Israel has benefited from the previously existing balance of forces in the southwest, which provided a rebel presence as a kind of buffer against the advance of the regime and its Iranian, Hezbollah and Shia militia allies. The ending of Timber Sycamore and the de-escalation agreement might tip this balance. However, this is not a certainty even in the southwest. Firstly, it is possible that the vacuum left by the faltering CIA program may be replaced by another US channel of support, sufficient to prevent rebel collapse in the southwest. Secondly, Israeli, Jordanian and Gulf support for the rebels may continue to play a similar role. Thus, the impact of the demise of the ill-fated 'Timber Sycamore' project may be somewhat less than might be immediately apparent. The main question facing Syria today is whether the regime (which really means Iran, Hezbollah and allied militias) will continue to expand its area of control under the cover of Russian support and in the face of confusion and lack of strategic clarity from other forces. The end of the covert CIA program of support for the rebels removes one of the less consequential barriers to this, without making it inevitable.